Our eco-warriors meet regularly to discuss initiatives to raise awareness of the environment and the three R's - reduce, reuse and recycle - all of which help to cut down on the amount of waste we throw away. They conserve natural resources, landfill space and energy. Plus, the three R's save land and money communities must use to dispose of waste in landfills. REMEMBER, in school we are collecting used postage stamps for East Lancs Hospice and old spectacles which we take to Specsavers for recycling in developing countries - please send any you have into school. 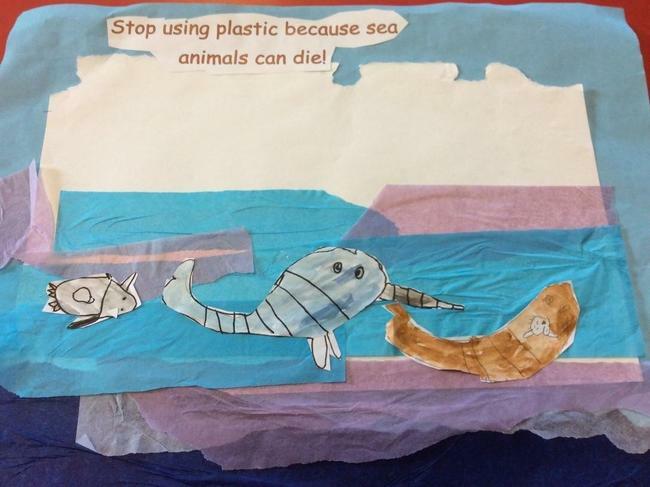 Last term the Eco Warriors met and discussed the problem of single use plastic. 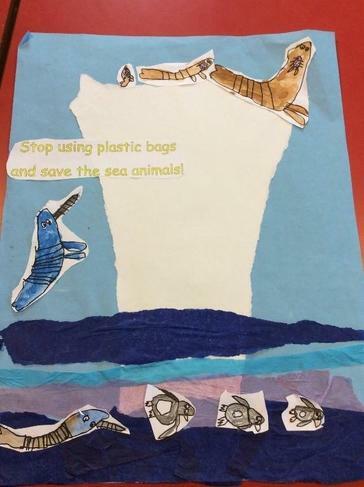 Like you, they are very concerned about sea creatures becoming tangled in litter! 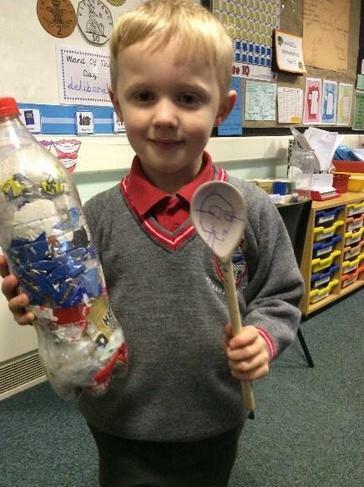 We decided to try to highlight how much plastic is thrown away after one use! 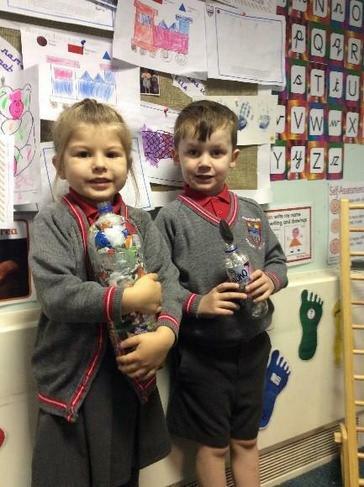 The Infant children have started to collect the plastic that is wrapped around the daily the milk and fruit. They use a wooden spoon to ram the plastic waste into an old plastic bottle. This is called an Eco-brick. The team decided to try collecting plastic bags and wrappers, and ram them inside a plastic bottle too. 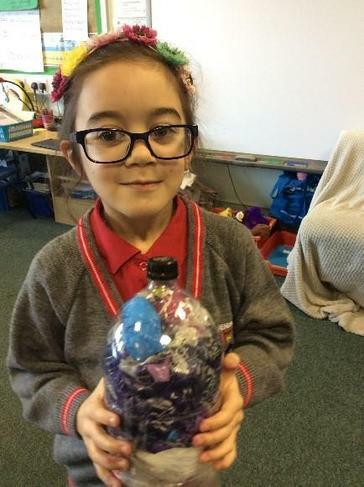 Now every class in school has an ‘Eco-brick’ ……….many families at home have one too! 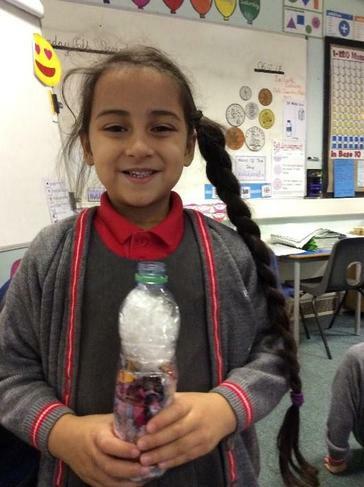 Maybe your family could try making an Eco-brick? It highlights just how much plastic is used once and then thrown away. 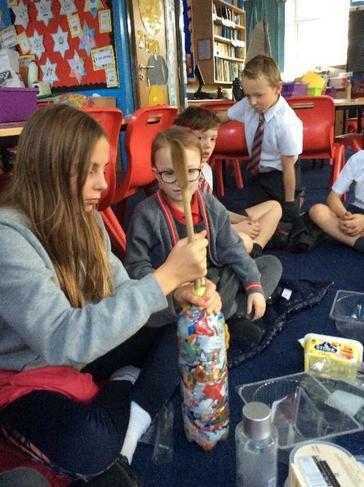 In the Summer Term we hope to gather the class Eco-bricks and transform them into a sculpture…..watch this space! Are you a family who have stopped buying bananas wrapped in a plastic bag? Can you stop buying birthday cards wrapped in plastic? Are you saying NO to plastic straws? 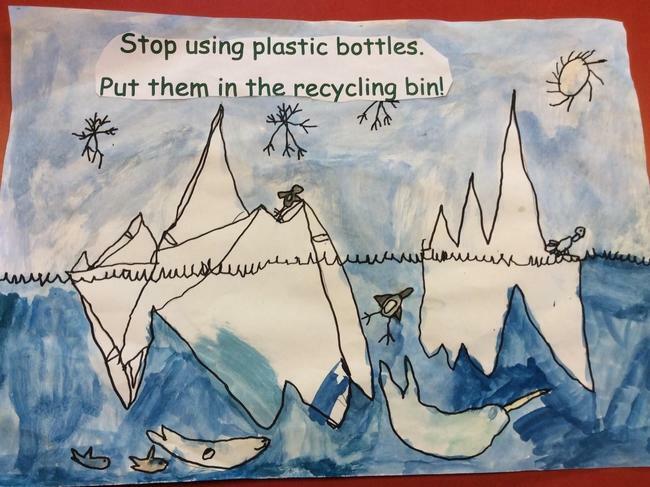 Do you use a plastic fork, a wooden fork or your fingers when you buy chips from the chip shop? Have you heard about forests being cut down, so that we can have palm oil for cakes, shampoo and other products? 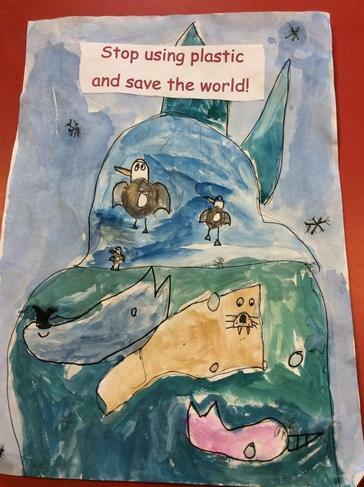 The children in Year 1 have been enjoying working on a topic about the Polar Regions. 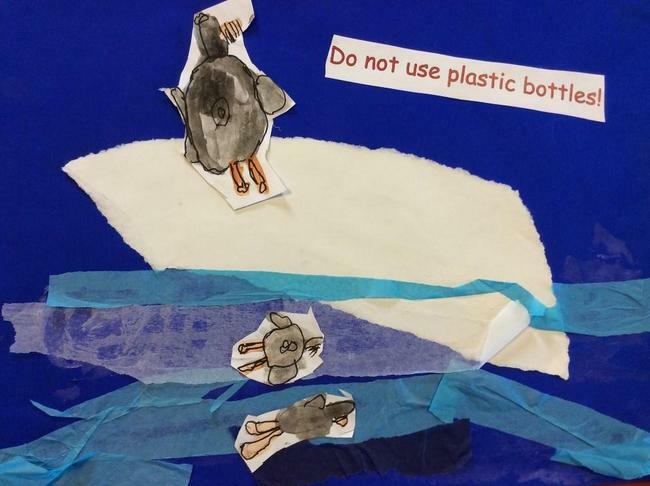 They are worried about creatures becoming injured by plastic that floats in the oceans.